"A fence post in Allensworth, California. Of the town's 471 residents, 54% live below the poverty level. The photographer @mattblack_blackmatt photographed some 70 cities, towns, and rural communities in the United States where more than 20% of the population lives in poverty. Last night, he received the 2015 W. Eugene Smith Grant in Humanistic Photography for the project, #geographyofpoverty. But @mattblack_blackmatt isn't finished yet. "There is still a big part of the country that remains unexplored by me, the big heartland of the country," he told the #lensblog. "And I think to be complete, I need to do that." 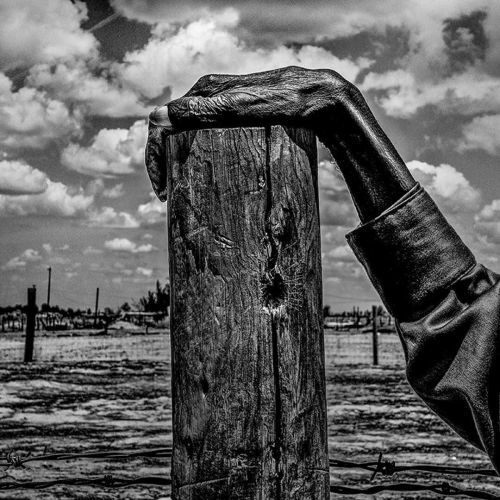 Follow @mattblack_blackmatt to see photos documenting the #geographyofpoverty in the United States. The project was supported by @msnbcphoto, @magnumfoundation, @pulitzercenter and @economichardship." By nytimes on Instagram.